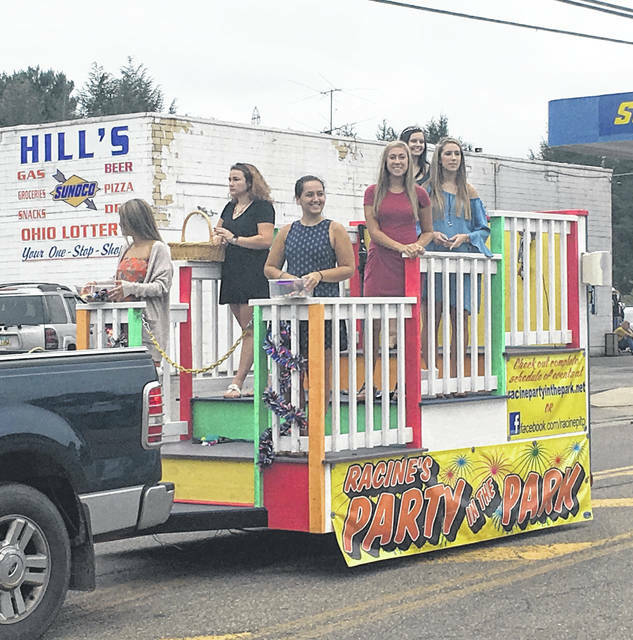 Meigs County Fair Royalty took part in the 10th annual Racine Party in the Park Parade Saturday morning. 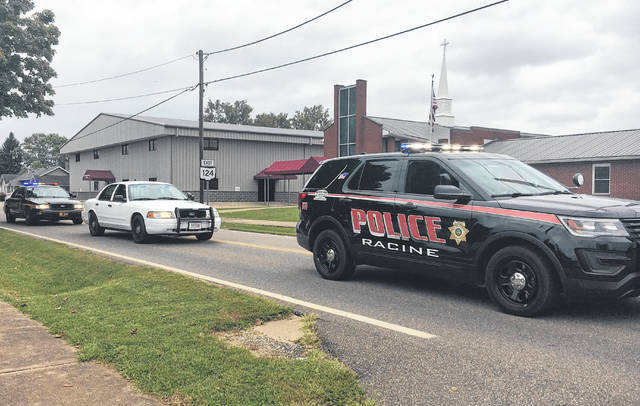 The Racine Police Department, followed by the Meigs County Sheriff’s Office, escorted the Party in the Park parade participants through town. Ronnie Salser drives his tractor through Racine in the Party in the Park parade. The Southern Marching Band played music as they marched through town on Saturday morning. Racine American Legion Post 602 took part in the parade before hosting the 9-11 Memorial Ceremony. The Party in the Park Queen candidates took part in the parade on Saturday morning, with the crowning taking place on Saturday afternoon. Coverage of the crowning will appear in the Wednesday edition of The Daily Sentinel. Numerous fire departments took part in Saturday’s parade, as well as the 9-11 Memorial Ceremony. The Party in the Park Queen candidates took part in the parade on Saturday morning, with the crowning taking place on Saturday afternoon. A line of tractors made their way along the parade route. 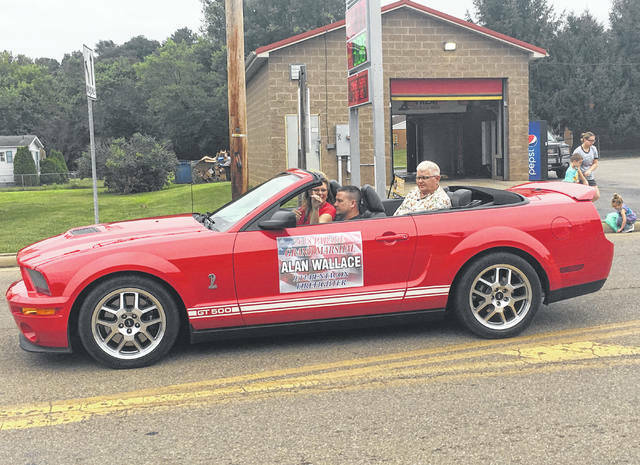 Grand Marshal Alan Wallace rode in the parade before serving as the speaker for the 9-11 Memorial Ceremony. Girl Scout Troop 1006 took part in the parade. 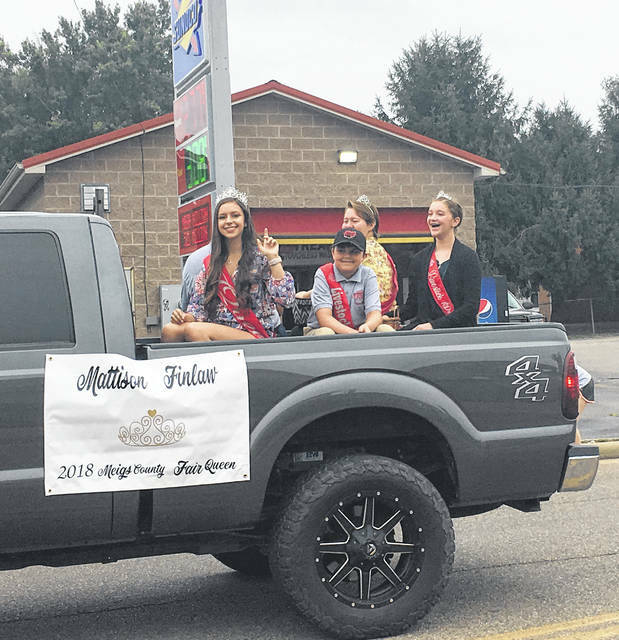 https://www.mydailysentinel.com/wp-content/uploads/sites/14/2018/09/web1_Parade-1_ne201891017143462.jpgMeigs County Fair Royalty took part in the 10th annual Racine Party in the Park Parade Saturday morning. https://www.mydailysentinel.com/wp-content/uploads/sites/14/2018/09/web1_Parade-2_ne201891017147261.jpgThe Racine Police Department, followed by the Meigs County Sheriff’s Office, escorted the Party in the Park parade participants through town. 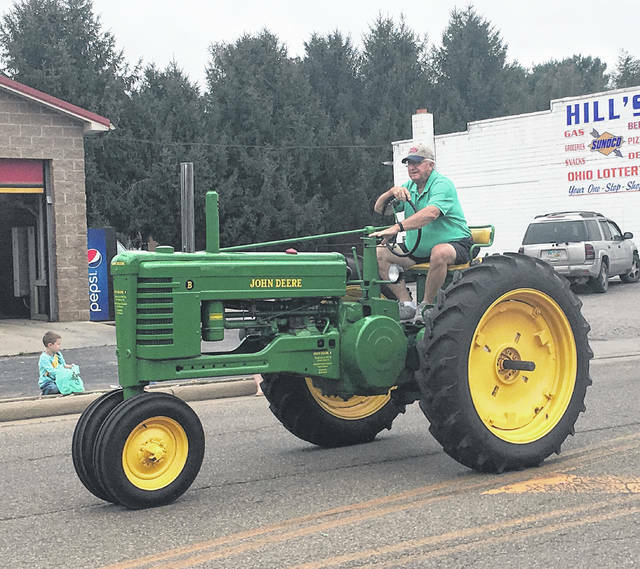 https://www.mydailysentinel.com/wp-content/uploads/sites/14/2018/09/web1_Parade-3_ne2018910171411773.jpgRonnie Salser drives his tractor through Racine in the Party in the Park parade. 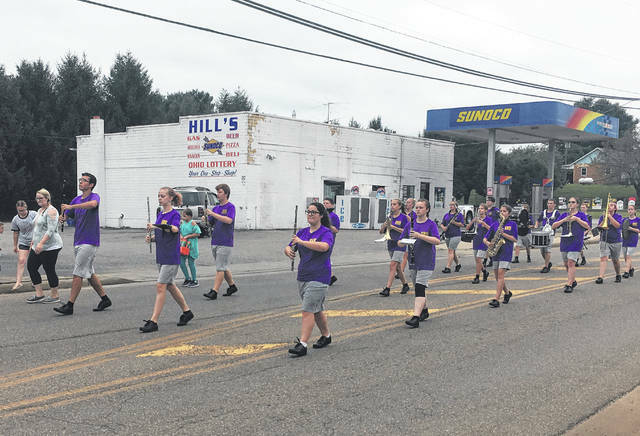 https://www.mydailysentinel.com/wp-content/uploads/sites/14/2018/09/web1_Parade-4_ne2018910171415747.jpgThe Southern Marching Band played music as they marched through town on Saturday morning. 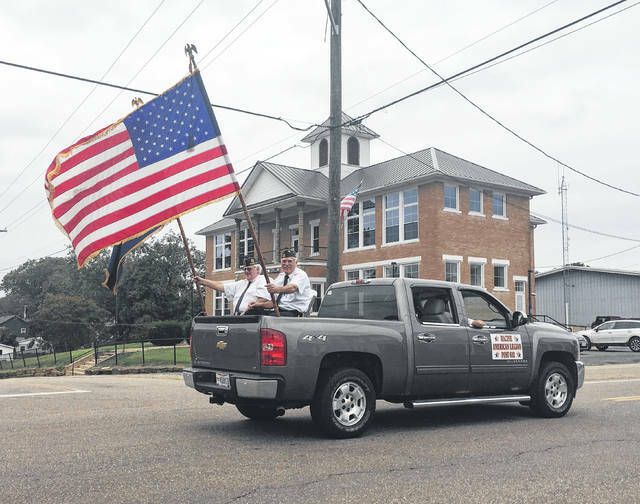 https://www.mydailysentinel.com/wp-content/uploads/sites/14/2018/09/web1_Parade-5_ne2018910171419812.jpgRacine American Legion Post 602 took part in the parade before hosting the 9-11 Memorial Ceremony. https://www.mydailysentinel.com/wp-content/uploads/sites/14/2018/09/web1_Parade-6_ne2018910171423506.jpgThe Party in the Park Queen candidates took part in the parade on Saturday morning, with the crowning taking place on Saturday afternoon. Coverage of the crowning will appear in the Wednesday edition of The Daily Sentinel. 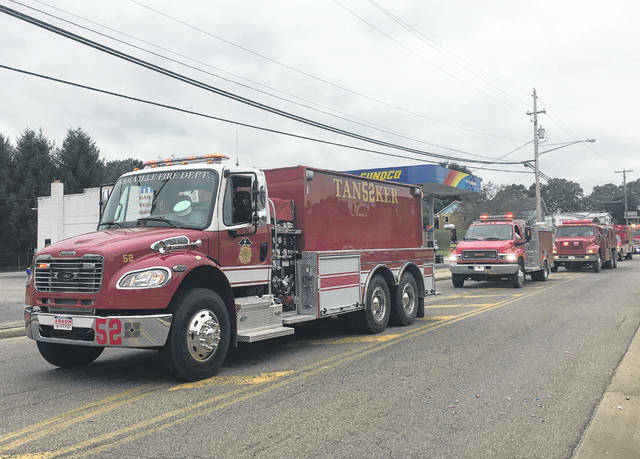 https://www.mydailysentinel.com/wp-content/uploads/sites/14/2018/09/web1_Parade-8_ne2018910171425999.jpgNumerous fire departments took part in Saturday’s parade, as well as the 9-11 Memorial Ceremony. 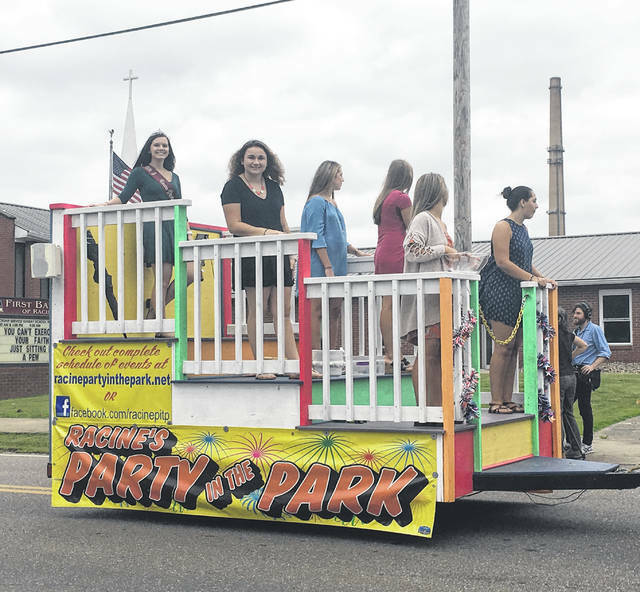 https://www.mydailysentinel.com/wp-content/uploads/sites/14/2018/09/web1_parade-10_ne2018910171434505.jpgThe Party in the Park Queen candidates took part in the parade on Saturday morning, with the crowning taking place on Saturday afternoon. 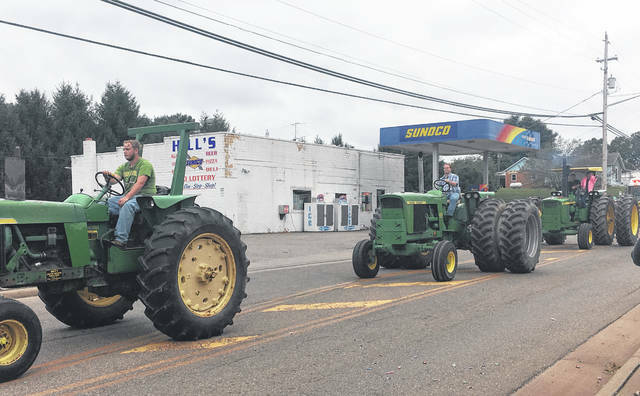 https://www.mydailysentinel.com/wp-content/uploads/sites/14/2018/09/web1_Parade-11_ne2018910171437184.jpgA line of tractors made their way along the parade route. 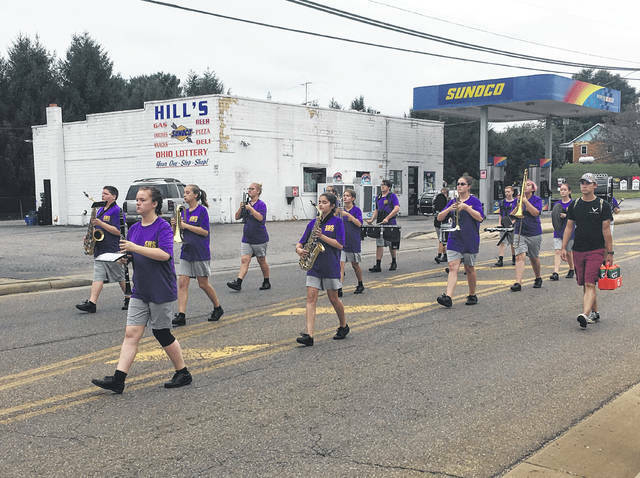 https://www.mydailysentinel.com/wp-content/uploads/sites/14/2018/09/web1_Parade-12_ne2018910171440944.jpgThe Southern Marching Band played music as they marched through town on Saturday morning. https://www.mydailysentinel.com/wp-content/uploads/sites/14/2018/09/web1_Parade-13_ne2018910171444581.jpgGrand Marshal Alan Wallace rode in the parade before serving as the speaker for the 9-11 Memorial Ceremony. 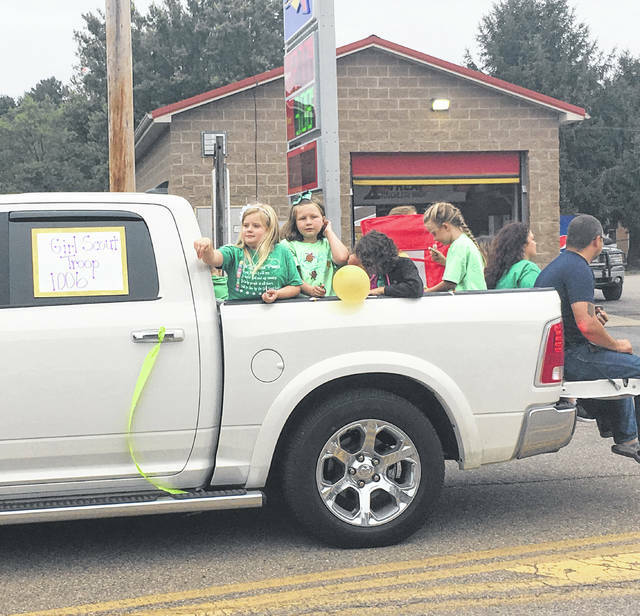 https://www.mydailysentinel.com/wp-content/uploads/sites/14/2018/09/web1_Parade-14_ne2018910171448710.jpgGirl Scout Troop 1006 took part in the parade.